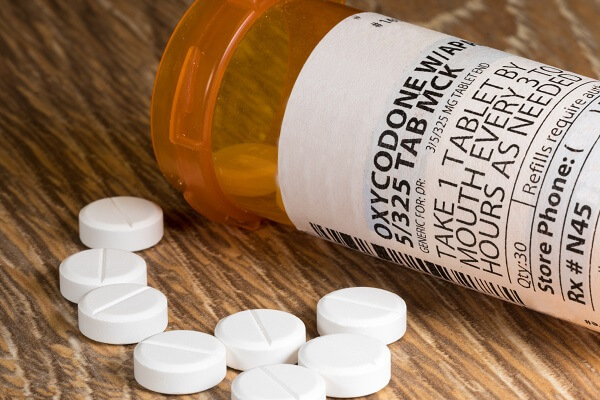 The federal government recently raided a widely respected physician for prescribing high-dose painkillers to some of his patients – precisely becausehe prescribes higher doses, absent any other significant evidence. There is no video surveillance of underhanded dealings. No patient testimony. No pattern of suspicious behavior in his patient care records. No suggestion of drug trafficking or substance abuse. Rather, the DEA contends that the doses themselves are sohigh that the patients must surely be selling them. And that, apparently, is all the “evidence” they need to justify potentially ruining an accomplished medical expert’s life and career. But Dr. Forest Tennant doesn’t fit the typical profile a physician targeted for drug diversion by the DEA (a profile which is already over-inclusive and irresponsibly defined as it is). Below, we look at the search warrant for the raid on Dr. Tennant, what it tells us about DEA overreachin bringing opioid charges against physicians and pharmacists, and whether other doctors need to be nervous about treating patients who struggle with chronic pain. Think the DEA, DOJ, OIG, and FBI are only interested in prosecuting doctors who are clearlyviolating the law? You know, the ones who hand out narcotic prescriptions in their waiting rooms without ever even meeting their patients? He’s published more than 100 scientific writings. He was one of the architects of California’s Pain Patients’ Bill of Rights. He was elected mayor of West Covina, California. Twice. He won a lifetime achievement award for his work with patients who have rare or complex medical conditions that cause chronic and severe levels of pain that are difficult to treat. He is widely regarded as an expert in chronic pain management, having spoken at numerous conferences and appearing in numerous publications. He is also a prominent and outspoken critic of the DEA. While he has a few blemishes in his record – a federal fine in the late ’90s and an insurance fraud conviction in the early ’00s (both related to his controversial medical practice) – the doctor is, by all accounts, a physician in good standing… at least until the DEA raided his office in December. The evidence of these red flags is typically culled from patient interviews, audio or video surveillance, employees who inform on the doctors they work for, observations by undercover agents, or from patient files. But Where Are the Red Flags in Dr. Tennant’s Case? The government’s list of red flags is already problematic. Many of the behaviors deemed “suspicious” are not inherently malevolent. And most of them aren’t illegal. But when the DEA raids a doctor’s office and can’t even point to its own list of red flags for justification, it raises real questions about the scope of federal law enforcement in the health care industry today. Dr. Tennant’s patients report that he would spend hours examining them in great detail. The number of patients in his care is not significantly above average (and certainly not on the level of previously convicted “pill mill” doctors). There is no evidence in the public record that he trades prescriptions for cash or anything else. His patients appear to truly suffer from chronic pain. Indeed, chronic pain management is his medical specialty. The search warrant does not reference any undercover observations or surveillance against the doctor. To our knowledge, there is no whistleblower or qui tam lawsuit pending against him. There is no evidence in the public record of Dr. Tennant’s patients dying from opioid overdoses. As the national opioid epidemic gets worse, federal law enforcement agencies are cracking down on doctors, nurses, and pharmacies with growing intensity. While our understanding of Dr. Tennant’s case is limited to the public record and the details of the DEA’s search warrant (available for review here), it is typical of the current era of DEA drug diversion crackdowns. Crackdowns in which agents effectively enter into investigations with a presumptionof criminal intent rather than giving these accomplished, hard-working professionals any benefit of doubt. Opioid cases often hinge on the question of medical necessity, but that is a question the doctors themselves should be answering. A DEA badge is not a medical degree. We fear that cases like these will put undue pressure on doctors around the country, making it harder for their patients – especially those who have a genuine need for medication that will help them cope with unthinkable physical pain – to get the care they really need. If you are under investigation by the DEA for drug diversion or any other drug-related offense, you should get in touch with an experienced drug diversion defense attorney right away. The lawyers at Oberheiden, P.C. have substantial experience in opioid cases. We have helped many doctors and pharmacists avoid criminal charges and hold onto their medical licenses. Call us now to learn more about our proactive, aggressive approach to opioid diversion defense.